Former Florida state trooper Woolfgang Halbig does not believe that ANYONE was killed at the Sandy Hook gun confiscation hoax and has done the research to prove it. Not only does he believe that no one was killed there but he has ALSO been threatened for exposing this horribly played out hoax. KateSlate11 gives us her take on this new bombshell information in the first video below while the second video contains the entire interview with this wise man, an interview that must go viral for Americans to finally take back our country from the criminals who have stolen it away. 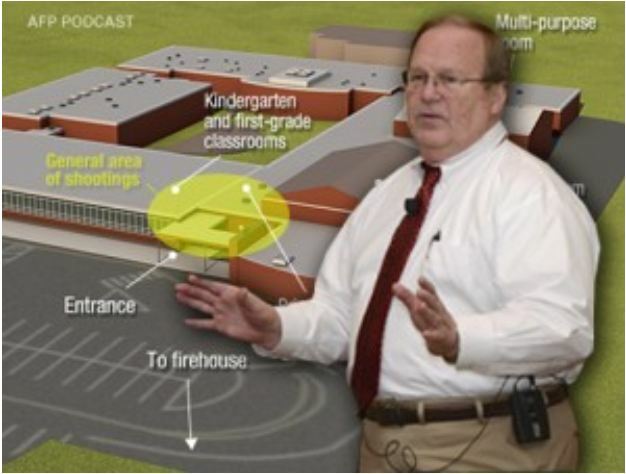 Sandy Hook WAS an attempt to TAKE Americans guns and forever enslave us; this interview goes a long way towards proving that fact.Wolfgang W. Halbig doesn’t believe anyone was killed at Sandy Hook Elementary School on December 14, 2012, and he’s looking for some answers. So many answers, in fact, that he was paid a visit by some police investigators telling him to back off.Mr. Halbig isn’t your average “conspiracy theorist.” He’s worked in public education as a teacher, dean, assistant principal, principal of an alternative school and as the Director for School Safety and Security for the Seminole County Public Schools, a school district of approximately 65,000 students.A former Florida State Trooper and United States Customs Inspector, Mr. Halbig was invited by the U.S. Department of Justice to train over 3,500 school police officers, school superintendents and school principals. He travels the country providing presentations and keynotes to a variety of school board associations and conferences and is a nationally-recognized school safety and security expert and consultant, who has provided safety training and school assessments for more than 4,000 school districts nationwide.